Kesser knew there had to be more than conventional treatment and prescriptions to heal his body. He turned to the gut. Since then, he has made a name for himself as the health coach to extraordinarily high functioning CEOs, entrepreneurs, and top tier athletes. Teaching them how to maximize their health from the very foundations of their physiology. Hear Ben and Kesser discuss why epigenetics are the most influential variable in your physiology. How submitting your body to unreasonable amounts of destructive stress, can destroy your results. 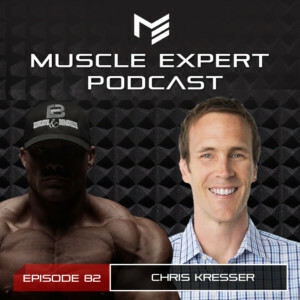 5:00 – Welcome Chris Kesser to the Muscle Expert podcast. He traveled the world as a life long surfer, only to contract a tropical virus that would change his world forever. 8:50 – “Treatments are almost worse than the disease.” Hear how Kesser decided to take matters into his own hands by starting from the inside, out. 11:30 – Excessive medications and antibiotics are destroying the microbiome. Learn why you must feed the good bacteria, in order to reap the optimum benefits of your probiotics. 14:30 – Life with a healthy gut, and chronic pain. How the symptoms of Kesser’s condition evolved overtime by gradually mental, physical, and spiritual homeostasis. 20:00 – Influencing mitochondria and variables in energy production. Learn what you can do to shock your mitochondria into producing more energy for your body to combat the “lulls” in your daily routine. Could Keto or Fasting be the solution? 24:25 – Adaptive stress v. Destructive stress; how obsessively overtraining can hinder your body, and performance. Why you should be training smarter, not harder. 27:00 – What are Epigenetics and how they have shaped you from minute one. Why some believe A.I. could be the future of medicine — and why for Kesser that isn’t the case. 36:30 – “Bring your attention to the present moment.” Kesser’s recommendations for relieving stress, in the most physiologically beneficial way possible. 41:00 – Overtraining and withdrawing from your metabolic reserve. Why you need to start looking at your body more like a “bank account.” The ultimate goal: stay out of the red. 44:00 – Making the deposits, and getting your body’s foundation right. Discovering that there is no universal formula — only the one that works for your body and lifestyle. 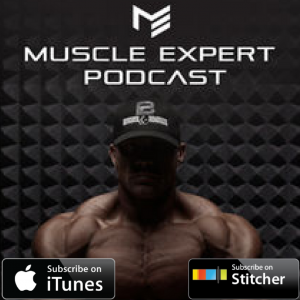 48:00 – Building Testosterone levels based on the HPTGA axis. Why low T levels may be associated with issues in the pituitary gland and hypothalamus, stress and overtraining. 57:00 – High cortisol, fasting and nutrient splits. Ben and Kesser talk about the balancing act of macronutrients and mitochondrial energy production. Why you may not need as much protein as you might think. 1:05 – Reinventing healthcare to fight chronic disease. Kesser believes that the future lies in the hands of well trained, authentic, health coaches.